An incredibly windy evening at Point Sublime, a remote backcountry view point on the North Rim. For a fleeting moment, two clouds simultaneously came together in harmony for this image taken just after sunset. 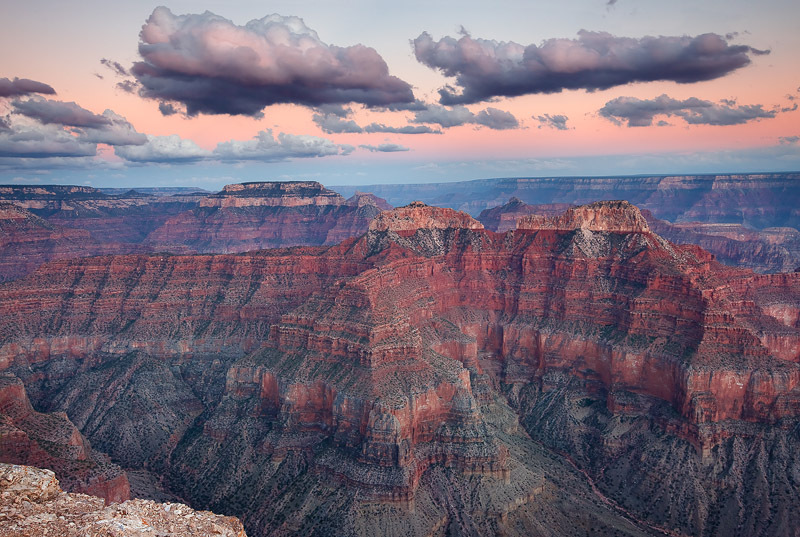 The South Rim is located in the far distance on the right and the Colorado River is below that... Photo © copyright by Michael Greene.